We are committed to provide the best tailor made solutions for your needs in TUGA-FrancoTosiMeccanica Joint Venture. 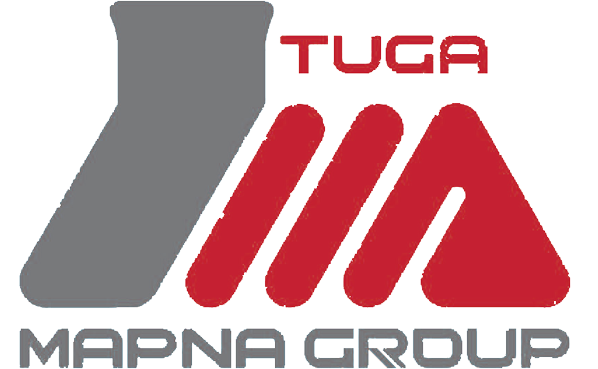 "TUGA-FrancoTosi Meccanica” is a Joint Venture between MAPNA Turbine (TUGA) and Franco Tosi Meccanica, formed in December 2015. By the new company, MAPNA Group will be able to deliver a more comprehensive portfolio of high quality turbomachinery products and services in Iran and abroad. MGT-30, MGT-40, MGT-70 and MGT-80 are our popular Gas Turbines. These Turbines produce from 25 to more than 300 MW Power in ISO conditions. We offer 1 to 850 MW Steam Turbines. Our brand new JVC is honored to be able to design and manufacture tailor-made steam turbines based on you special needs. We are manufacturer of up to 50 MW Air and Gas Compressors. The compressors are designed according to API 617 Standard. Our popular Hydraulic Turbines are PELTON, FRANCIS and KAPLAN. These Turbines offer up to 500 MW Power depending on the Net Head and other parameters of the plant. Field services of TUGA-Franco Tosi Meccanica, covers a wide range of activities at clients site, from a relatively simple part replacement to a complete overhaul. Our shop services consist some of very specialized works which is being done in our facilities both in Iran and Italy. Tehran, Iran – Iran’s MAPNA Group and the Italian Franco Tosi Meccanica officially launched their joint venture on December 13, 2015.